Rust resistant; can be used for both interior and exterior applications. Screws included. Holds screen and storm panels in place. Includes screws. Rust resistant; can be used for both interior and exterior applications. Screws included. 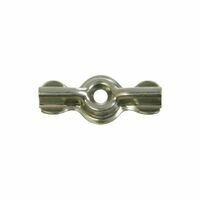 National Hardware Half Turn Button, Weather Resistant, Series: V83, Cold Rolled Steel, Zinc Plated, 1.27 in Length, Includes: Mounting Screws, BHMA A138.18, 1/2 in Size, For Complete Support of Window With Minimal Space Requirements Economy sliding window lock with single thumbscrew and no-mar rubber insert to help prevent marring on window frame. Sash Lift with 3-7/8?L x 1-3/16?W x 1-1/16?H. Screws included. Sash Lift with 3-7/8?L x 1-3/16?W x 1-1/16?H. Screws included. Sash Lift with 3-7/8?L x 1-3/16?W x 1-1/16?H. Screws included. Screws included. Screws included. Screws included. Sash Lift with 3-7/8?L x 1-3/16?W x 1-1/16?H. Screws included. 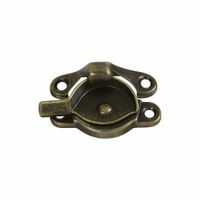 Richelieu Window Latch, Nylon, Brown, 1.6 in Overall Length, 0.67 in Overall Width Screws included. National Hardware Sash Pull Lift, Series: V170, Suitable For Use With: Windows, Cabinets, Doors and Drawers, 4 in Length, 1.11 in Width, 1.1 in Depth, Steel, Brass Draws window frames together to reduce rattle. For double-hung windows. Mounting screws included to match product finish. Bagged. Designed to provide ventilation for all wood, double-hung and sash windows. Catch slides over when needed and slides out of the way when not needed. Decorative strike provided to prevent window damage. Steel body and strike. Visual-pack. 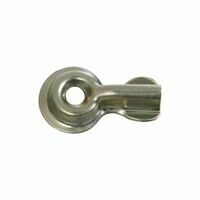 Security lock for sliding windows and doors. 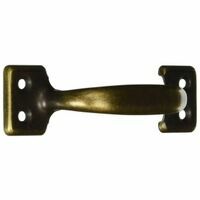 National Hardware Sash Lock, Crescent, Rigid, Series: V600, Suitable For Use With: Double-Hung Windows, Die Cast Zinc, Antique Brass, 1.68 in Overall Length, 2.45 in Overall Width, 0.62 in Overall Depth, Includes: Mounting Screws Carded.